Anthony Abbate discovers the relationship between realism and abstract with his versed series on Cactus, Cacti and Cactuses. View Gallery and Select Past Works. 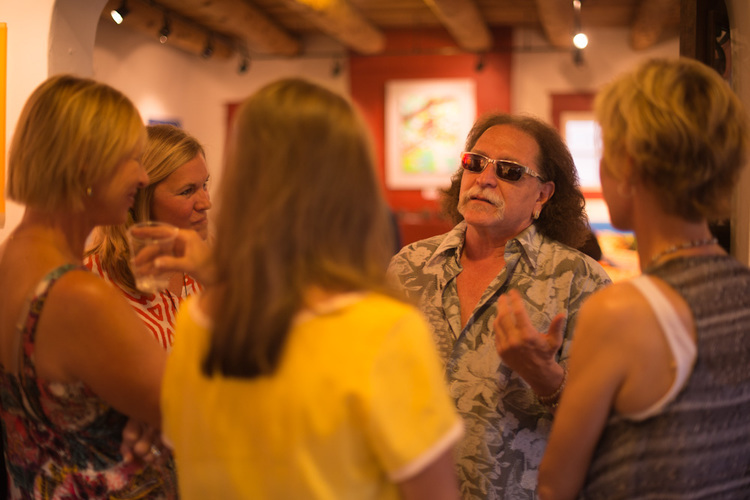 Born in Providence, Rhode Island in 1949, and has been a resident of Santa Fe, New Mexico since 1981. He studied fine arts at Rhode Island College and has been creating various forms of artwork for over 30 years. Every detail of Abbate’s series invites the viewer to study more of the composition that unfolds in his subjects. Anthony Abbate recently is focusing on a series titled “Cacti, Cactus, Cactuses” with his stand out piece “Thicket”. Also, the series “Juicy Fruit” is quickly becoming collected in corporate and private businesses and homes with the introductory piece “Ghost of Papaya Past”. The Floral Series and Buddha series have been released during the summer of 2011 at Abbate Fine Art.